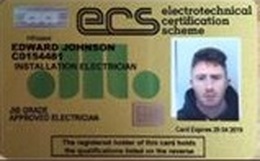 E Johnson Electrical Services has extensive experience of working in private dwellings and commercial properties, working with other site trades, wiring up central heating systems, domestic and commercial installations, installing solar PV systems. Testing and Inspection of private dwellings and large commercial sites. E Johnson Electrical has experience of reactive/maintenance, call out work on private dwellings, hotels & commercial properties, installations in commercial hotels and shops. ​Installations in domestic properties including new consumer units (Fuse box) lighting, sockets, testing and inspection. Why chose a NAPIT registered installer?